It's become somewhat cool to dis the Star Wars prequels, but I was doing it before it was cool. While The Phantom Menace is arguably the worst of the three, it does have a few redeeming qualities, and these little dudes are one of them. 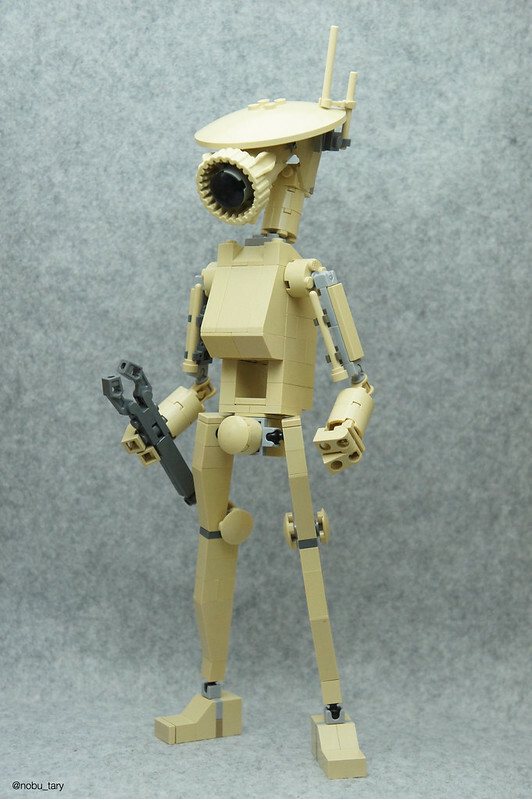 Pit Droids, like this one from nobu_tary, were maintenance robots in the pit areas of pod racers. But they're skills just may have extended past that, because that scene was one of the other redeeming qualities of the film...coincidence?